Photos by Sarah Forst Mike Lee’s S14 was one of our favorite cars. 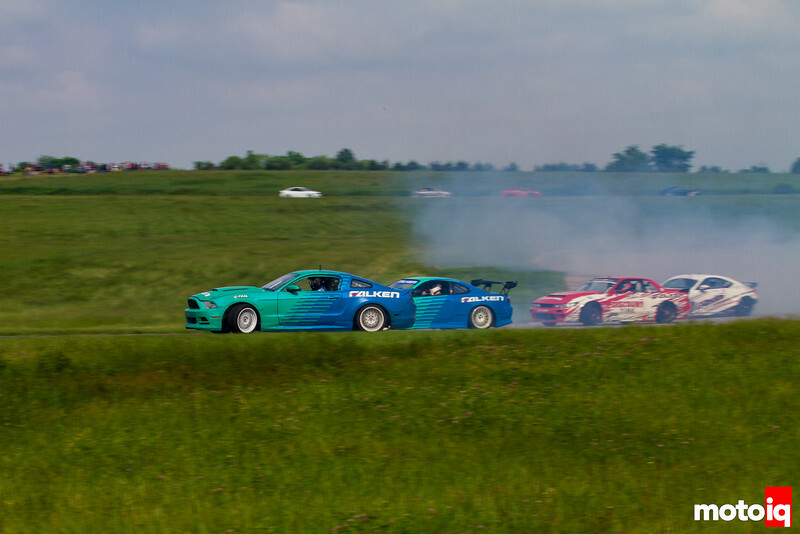 We took a break from Summer Race season to be tourists at Gridlife’s Midwest event at Gingerman Raceway last month compliments of our generous hosts at Falken Tire. We had not ever attended a Gridlife event before and we loved it! Imagine burning man mixed with motorsports together and you got Gridlife sort of. Well, the giant party part and not the artsy fartsy stuff. Another come away is that the midwest is fast becoming a hotbed of car enthusiasm as this is one of the largest grassroots car events that we have been to in quite a while. We loved the passion the fans and participants shared for the event and the amount of fun the attendees had! There were a lot of people! Gingerman Raceway was packed with fans and participants. 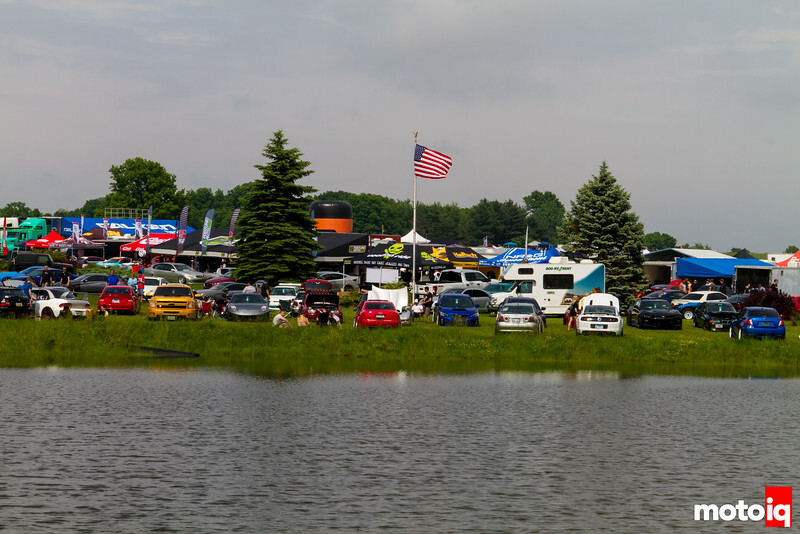 Here we are looking across the infield lake to where the car show participants were parked. You can see the Team Falken rig parked in the background. 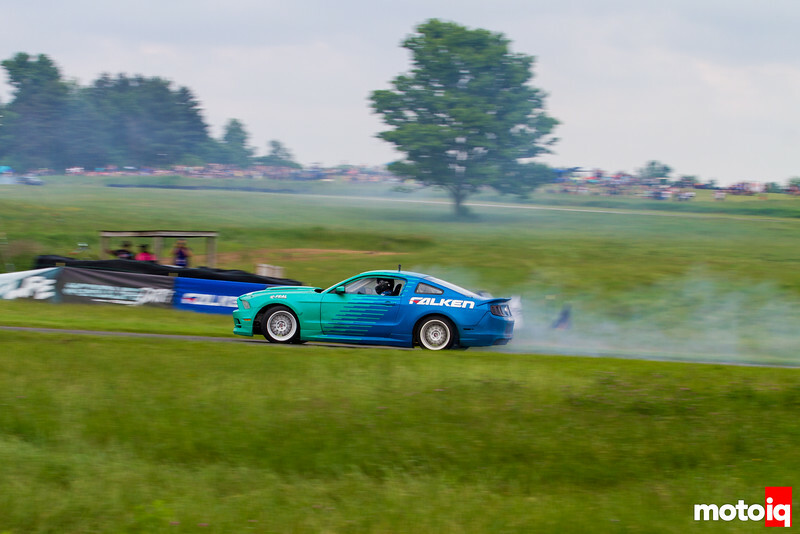 It was awesome to see Team Falken’s Formula Drift Team doing trains around the whole track for the thousands of fans packing the fences. Here Justin Pawlack leads Odi Bakchis, Dai Yoshihara, and Ken Gushi. 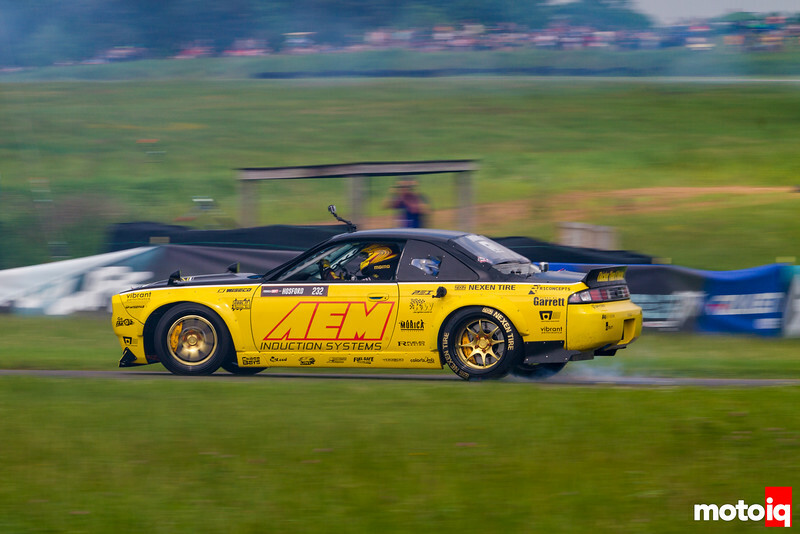 It was great to see Dai back in the historical Discount Tire S13! Justin Pawlak was thrilling the crowd and the lucky few that got demo rides with him with high speed smooth 360’s. He would hardly lose any momentum doing this. This demo move was pioneered by Matt Powers but we think Justin has taken it up another notch. 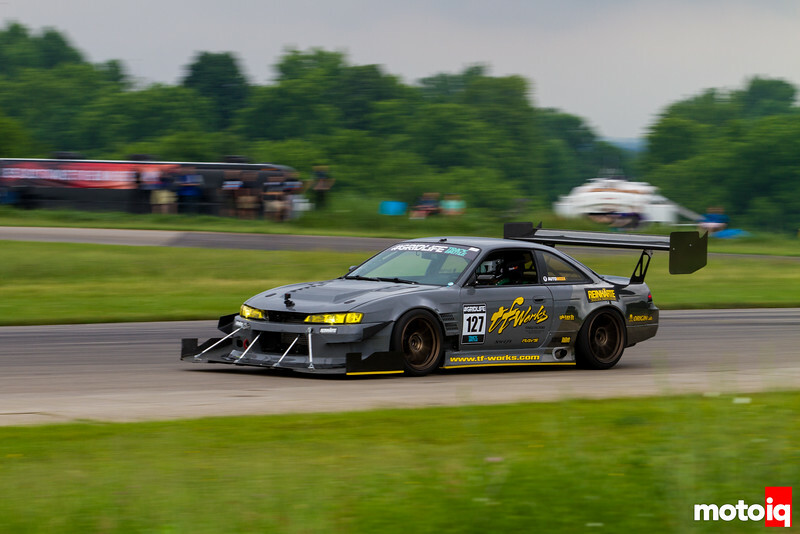 Maximum Driftcast Host Corey Hosford was out hotlapping his Rocket Bunney Boss Aero S14. We gave him a hand in setting up his suspension and he reported the changes worked well. Nitto Tires Vaughn Gittin Jr. was out in force behind the wheel of his Mustang. Gridlife runs their own HPDE, not NASA. Howerver, it does include several SCCA & NASA instrutors. Gotta say, I miss reading up about OTA on Motoiq. This might sound dumb but what does OTA mean?